I disappeared again, didn't I? I promised you some more posts and then I went AWOL again! I'm sorry that I haven't been the best blogger lately but if you follow me on Instagram or You Tube then you'll know that I haven't been completely absent from social media. I've always tried to establish an all round social media presence, my aim is to make all of my channels work together, so if you see something on my Instagram, or on my Twitter or on my You Tube channel, then at some point it will probably pop up on my blog. Although like many users I recently lost the ability to monetise my videos on You Tube, I still enjoy making them and having another mouthpiece for thoughts and ramblings, and dare I say it sometimes it's easier to make a video then it is to take and edit a kazillion pictures for a blog post! In the meantime though I've recently posted a couple of haul videos that I thought I share with you, the first one is a Dorothy Perkins haul which you can watch below or via this link. I recently took advantage of one of their 25% off everything weekends and picked up a few jewellery pieces, and a couple of pairs of cute socks, so have a watch and let me know your thoughts. As well as a fashion based haul, I also recently uploaded a very, very late, post Christmas beauty sale haul. Yes I know we're now in April but better late then never eh? Yeah I was pretty ill over the Christmas period but I still managed to make a couple of online sale buys from Benefit, Clinique, Tarte and Marc Jacobs Beauty. You can watch my haul video below or via this link if you are on a mobile device. Although a lot of the kits and the holiday sets that I talked about were limited editions, I still think that this video was worth sharing with you. Why? well a lot of the kits also contained a lot of permanent items and permanent shades some of which I'll be reviewing on the blog in the next month or so, and if you're a Tarte fan then make sure that you're following my blog because I might have bought a few extra sets to giveaway. "March Comes In Like A Lion, And Goes Out Like A Lamb"
Well the last 7 days officially prove at least to me, that those old sayings like this are utter tosh. The month ended pretty much as it started with yet more snow, but in my case in particular it didn't got out like a lamb, more like a whirling dervish! 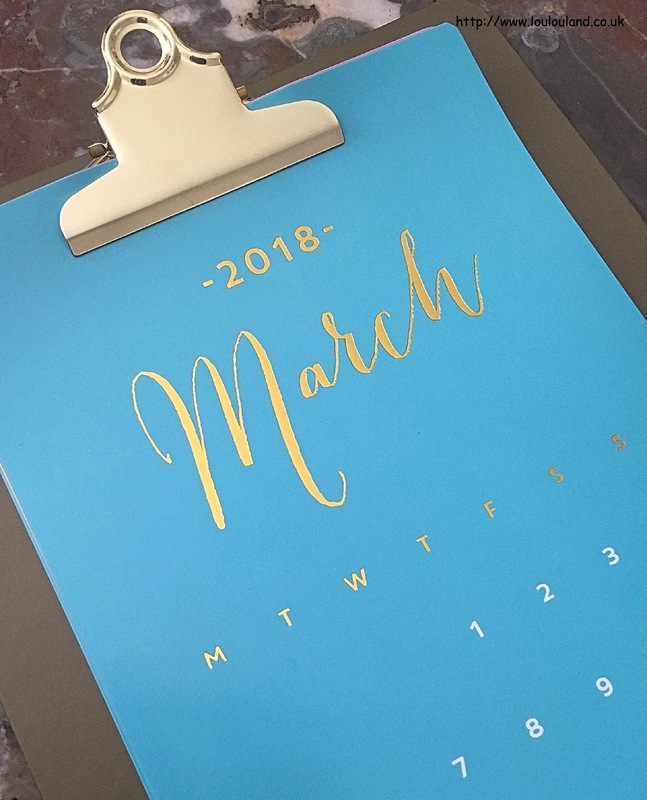 If you follow me on any of my other social media channels you'll know that March ended, and April started in the worst possible way, with an emergency ambulance, an A&E trip, and a short hospital stay for Mummy Lou. Certainly not the Easter that I had planned but thankfully she's home and whilst she has a few more hurdles to overcome she's feeling much better and I'm gradually coming down from a stressed and anxiety ridden high. March sucked big style for a number of reasons, and to be honest April hasn't started off much better but as I keep saying, and I have to keep believing things can only get better, and they will get better! You have to keep believing - positivity, positivity, rah, rah, rah! So over the last few weeks I've been sleeping, I've been eating lots of chocolate, indulging in lots of self care, and general life sorting, and even though I've been a little bit quiet online I've still been doing lots of blog and You Tube prep so as long as the creeks don't rise I should be a little bit more productive online in the weeks and months to come. So starting in a productive and positive vein I thought I get my first post up of the month and share with you my March beauty empties. Considering it was such a topsy turvy month I think I did pretty well to finish another 6 items. I'm there or thereabouts on a few make up items, but I didn't manage to push any over the line in March. Alas no skincare either but lots of body and hair care and I managed to finish a couple of interesting items so I'm still pretty pleased with March's total. Now normally by the time it hits February or March I relegate my festive toiletries to the back of the cupboard and keep them safe until the festive season comes around again. this year though I've decided to do things a little bit differently. One of my worst beauty failings is filling up the cupboards, drawers and shelves with half finished bottles and jars, so instead of switching my beauty products up to suit the change of seasons, this year I'm planning on using up everything that's currently in my shower, including a ton of festive scented products before I move on to something new. There seems to be two schools of thought when it comes to feet, you either think that they are the greatest thing on this planet, or they gross you out. I definitely fall into the latter category I can deal with my own but touching other peoples quite frankly makes me feel a little unwell - in fact touching other peoples skin generally makes me feel a little queasy but hey hopefully you get what I'm trying to say. Feet are not the most pleasant of things but we really do need to take care of them - they work incredibly hard and lets be honest we don't always treat them that well. So if you have feet do yourself, and the world a favour and take care of them! Keep them clean, keep them fresh and keep them moisturised. Thanks to medication and a thyroid condition my feet get very dry and as a result I'm always looking for ways to keep the dry skin at bay, and to keep them soft and hydrated. Unlike those plastic and infused paper type socks that make your feet peel, these ones from the fabulously named Beautifully Scrumptious are all about the moisture. These disposable socks are infused with a fresh smelling moisture cream containing tea tree, lavender, and peppermint. Pop them onto clean, dry feet and relax for around 15 minutes, slip them off, rub the excess lotion into your feet, and you're left with feet that feel cool, refreshed and silky soft. I was really surprised at just how much better my feet both looked and felt after just 15 minutes, my feet felt a lot smoother, and the increase in hydration was really evident in the appearance of my feel and in particular in my horrible, dry and cracked heels. These socks are designed for just a single use but after one 15 minute treatment they still felt pretty wet, so I actually managed to get another treatment out of them the next day. I'm so, so impressed with the effectiveness of these socks especially since they were only £1 in Poundland. So if you want both better looking, and feeling feet in a matter of minutes then these socks are definitely worth picking up, and I'll definitely be adding a couple of more pairs to my basket next time I'm in store. 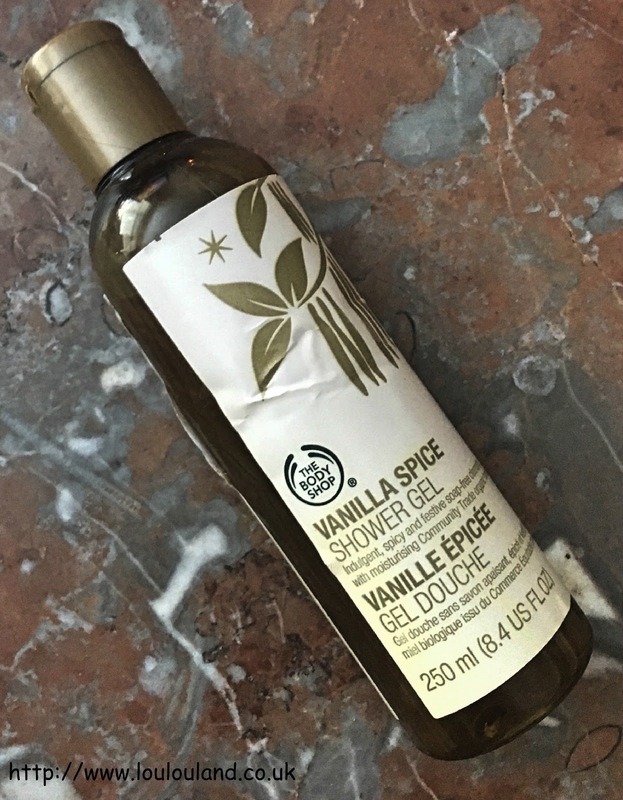 Although one of my things are pedicure type products one of my real obsessions is body scrub, something so simple, yet so often brands get it so wrong. Well not in this case, so stand up Baija Paris, and accept the praise that is heading your way. This was a product that I received in my December Birchbox (watch my unboxing video here) and believe me it was a winner. Packaged in a gorgeous but slightly dangerous when you've get wet hands, glass jar, this was a lovely, very gritty and grainy sugar based body scrub. It had a good oil content so as well as being very exfoliating it was also very moisturising. I'm not a fan of honey scents so I was a bit sceptical about this one at first but it actually had an incredible, if slightly sickly sweet toffee, fudge inspired scent. Ah more feet and as were hopefully heading towards better weather and sandal season, it's more important than ever to get those feet in tip top condition. This is without a doubt one of my favourite ever foot creams! Containing fruit acids, to tackle that dead skin, and lots of moisturising ingredients, the texture is just right, it isn't too thick and it's nice and easy to rub in. 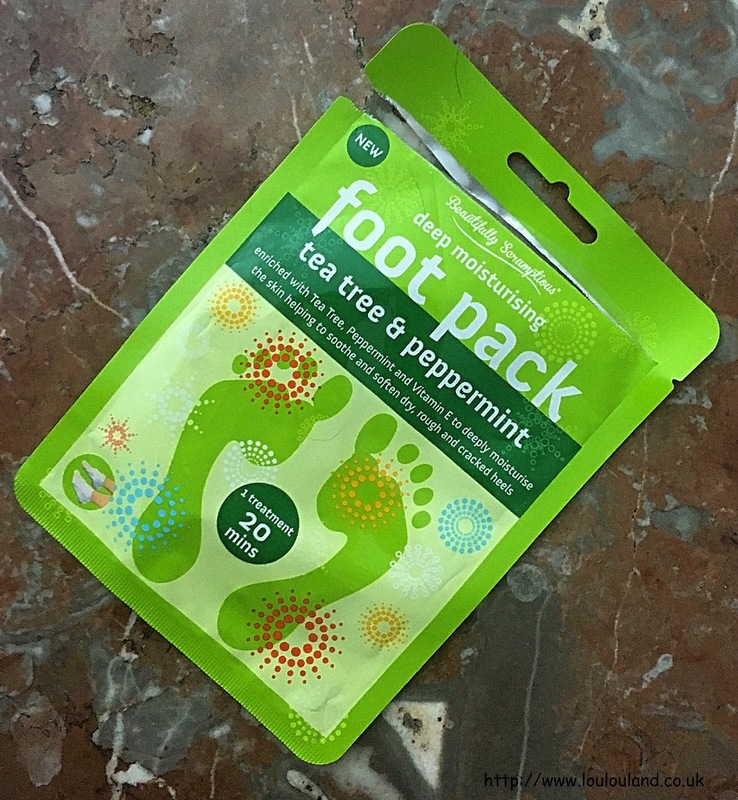 I'm also a huge fan of the scent: whilst minty, tea tree and lavender scents definitely have their place (especially if your feet or a bit whiffy!) I love the fresh, fruity, floral, okay the impossible to describe scent of this one. I usually slather it all over my feel after a shower, pop on a pair of socks and let it do it's thing. My feet are pretty dry and whilst this Soap & Glory cream isn't a miracle cure, like most foot creams it definitely makes a difference when you use it consistently. If you follow me on Instagram then you'll already have heard me raving about this shampoo and the matching conditioner. First up it's super affordable, the RRP for this particular shampoo in the 250ml size is £3, but as you know AVON have regular offers on all of their products so shop carefully and you could probably pick up both a shampoo and conditioner for less than a fiver (my last bottle was only £1.50!). Secondly and perhaps more importantly this is a decent shampoo! It contains ingredients that you would expect in higher end shampoos including wheat proteins, keratin, aginine, amino acids, and bamboo extracts. 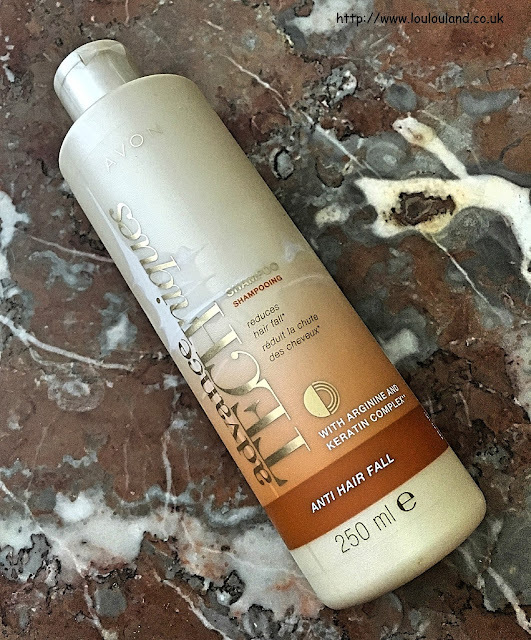 Designed to help strengthen the hair from root to tip, it has a lovely fresh, floral scent, it foams nicely (it does contain SLS though) and it feels nice on the hair, and leaves it feeling really clean and conditioned. Although it's marketed as an anti-hair fall shampoo, you have to be realistic about your expectations and yes I probably am still losing more hairs than the average person but thanks to the combination of this shampoo and the corresponding conditioner (and a few other products from other brands), my hair is in pretty good condition at the moment, so for the price I'm stick with it. I've already repurchased both the shampoo and conditioner and I can see myself buying it again and again. 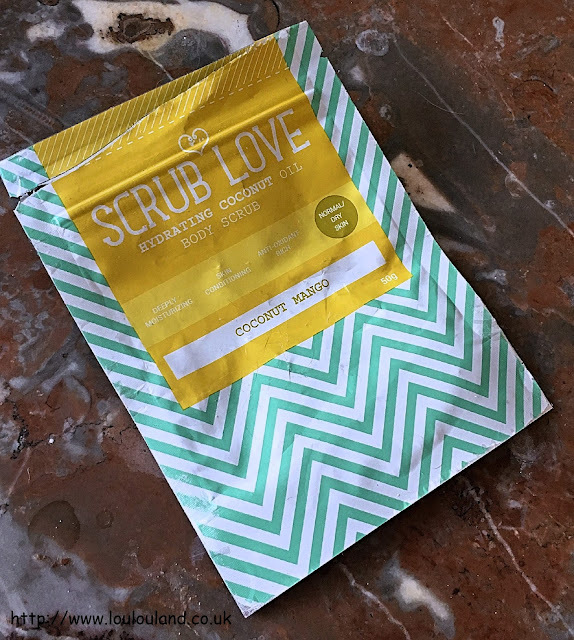 Now this is the second product that I've tried from Scrub Love and I have to say I liked this one way more than I liked the last one (read my thoughts here). Although that one also contained coconut it also contained coffee which really added to the mess and my somewhat negative review. 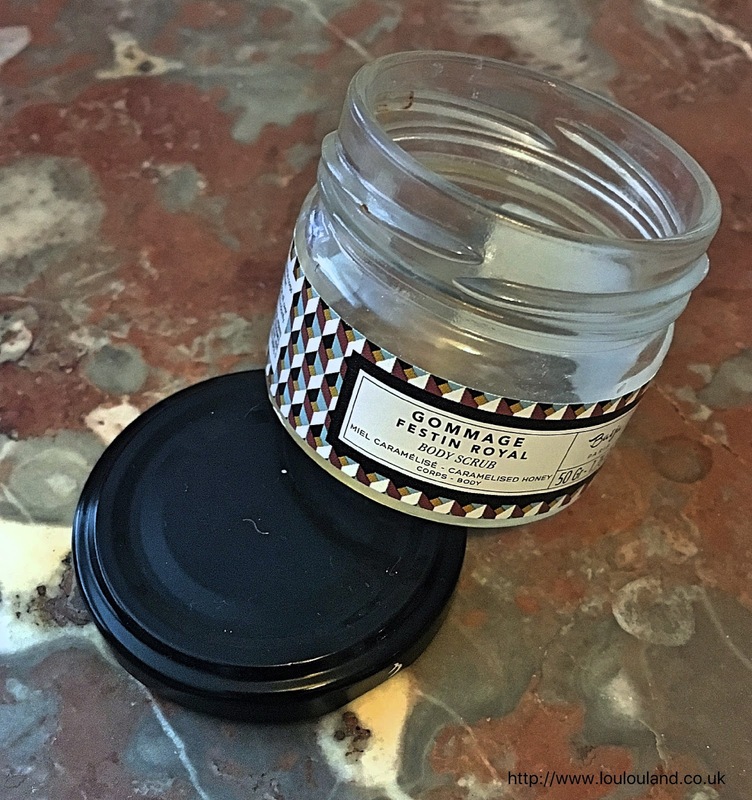 This Coconut Mango scrub which came in the June 2017 Birchbox (see my unboxing here), contained lots and lots of coconut from the shell, to the oil, and the milk, and it also contained a load of moisturising and good for you ingredients including kaolin, sugar, glycerine, grapeseed oil, and mango seed butter, and whilst it was still a tad bitty and messy thanks to all of the oils and butters it was much easier to clump together and massage into the skin. It had a nice and scrubby texture, and the scent was amazing, subtle coconut and lots of fruity, and juicy mango - a lovely scent that transported you to the tropics even in snowy Co Durham. It was nice and scrubby and I loved the scent but I still prefer out and out sugar or salt scrubs so I probably wouldn't repurchase this one but I would happily use it up if I acquired another one in the future.